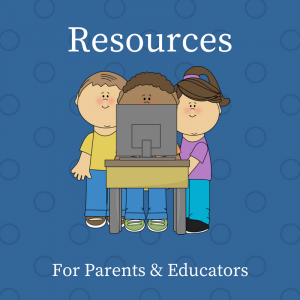 These websites offer parent-focused information about reading. Bookseller tools – Some merchants let you preview some pages from books they sell. You and your child can see excerpts of books to see if they interest you. Guide for Selecting Anti-Bias Children’s Books by Social Justice Books, a Teaching for Change project. Children’s Books Page – Reading Rockets offers links to sources on how to choose and use children’s books at home and school. 10 Steps for Reviewing Books – National Association for the Education of Young Children (NAEYC), 2010 Note: Excellent for helping you select books, too. Nonfiction Picture Book Design: Questions That Can Help by Melody Lloyd Allen at Celebrate Science. Ms. Allen used to judge for the Sibert Award (for best children’s nonfiction). Scroll about halfway down. She poses GREAT questions you can use to help select – or guide your child to select – nonfiction books your kids will enjoy. Building a Family Library – Bianca Schulze (The Children’s Book Review) published this list, courtesy of Reading is Fundamental. Every Child Reads – A podcast interview with Donalyn Miller, author of The Book Whisperer: Awakening the Inner Reader in Every Child. Donalyn offers ideas for encouraging reading in school and at home. Guided Reading at Home by Cathy Puett Miller This is a two-part series about ways to mirror school reading techniques at home. We sponsored this article. Reading & Literacy with the Literacy Ambassador Cathy Puett Miller has extensive experience as an educator in reading and literacy. On her website, you’ll find articles filled with easy-to-use ideas for parents, educators, and librarians. Reading Rockets! Ed Extras is a monthly feature that presents a one-page article about learning. There are a variety of forms and it is available in English and Spanish. Reading Skills and Great Books for Kids (website) Find articles wit ways to help kids develop and strengthen their skills, as well as lists of recommended books, broken out by audience. Simple Pleasures On author Susan Crites’ website, you’ll find a page called Simple Pleasures. This is a continually updated collection of ideas for making reading fun. Understanding Reading Levels Anastasia Suen is a children’s book author, educational consultant, and literacy advocate. On her Easy to Read blog, she has posted an easy reference to help you understand the four reading levels. Making the Most of Reading Aloud with Children by J.H. Everett is a children’s author and illustrator, former elementary school teacher, children’s theater director, and all-around stage ham. In this article, he offers tips about ways to make reading aloud with kids fun. Now I Know My ABCs? by Jackie H. @ Ready, Set, Read! Finding the Perfect Book for Struggling Readers @ The Reading Zone. Sarah She is a 6th grade Language Arts teacher, and her ideas help all of us. Information and Tools for Helping Struggling Readers This links to seven articles that describe conditions and environments that can affect reading. We are not familiar with EasyRead and are not endorsing their product. These articles are non-commercial.